This post is part of an ongoing series seeking images and documents in connection with the #Pixburgh: A Photographic Experience exhibition opening this fall at the Heinz History Center. Read all posts related to the project by searching the #pixburgh tag on our blog. For better or worse, Pittsburgh has traditionally been known as a “shot and a beer” kind of town. Taverns and breweries began advertising here by the 1790s. Since then, hundreds (okay, this is Pittsburgh, maybe thousands) of favorite watering holes have come and gone. From taverns that once lined Water Street along the Monongahela River (now buried under Fort Pitt Blvd.) 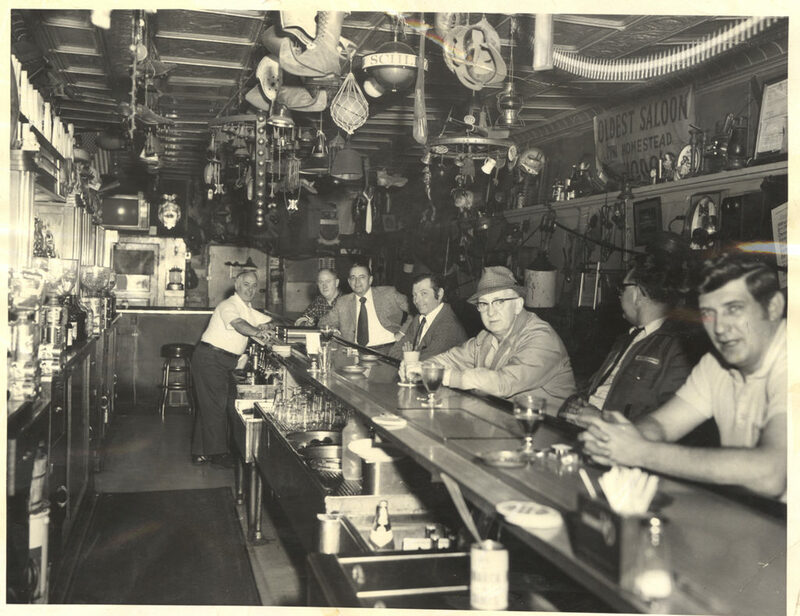 to much-missed neighborhood bars, the History Center is seeking more images and artifacts of these places to add to the permanent collection. If you have a great photograph of your favorite bar or a long-gone corner saloon, we’d love to hear from you. 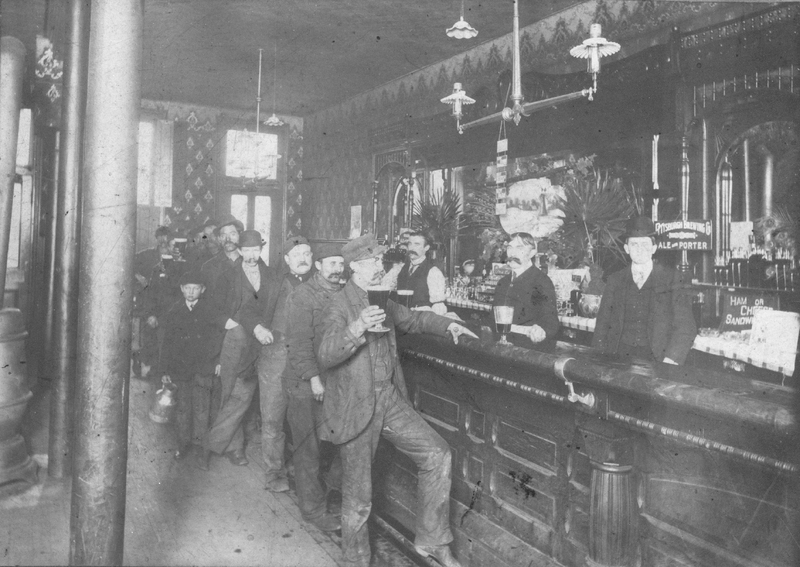 Photos of saloons and bars may not seem like “serious” history. But these are places where people gathered, debated, and celebrated: they tell us much about our city’s past. They illustrate how immigration and work patterns changed neighborhoods. They highlight where different people congregated and reveal who wasn’t welcome at the bar before Prohibition changed America’s drinking habits. They also show how social customs and legal standards sometimes clashed in ethnic neighborhoods. More than a few photos of saloon interiors show children at the bar. Were saloons really serving minors? In some cases, yes. Especially in German, Italian, and Eastern European neighborhoods, saloons were known to serve minors, regardless of legal restrictions. It was part of the culture, although a few rounds in Liquor Court usually encouraged proprietors to change their practice. Interior of a South Side saloon, c. 1900. Gift of Bob Cranmer, 1999.0080, Detre Library & Archives, Heinz History Center. 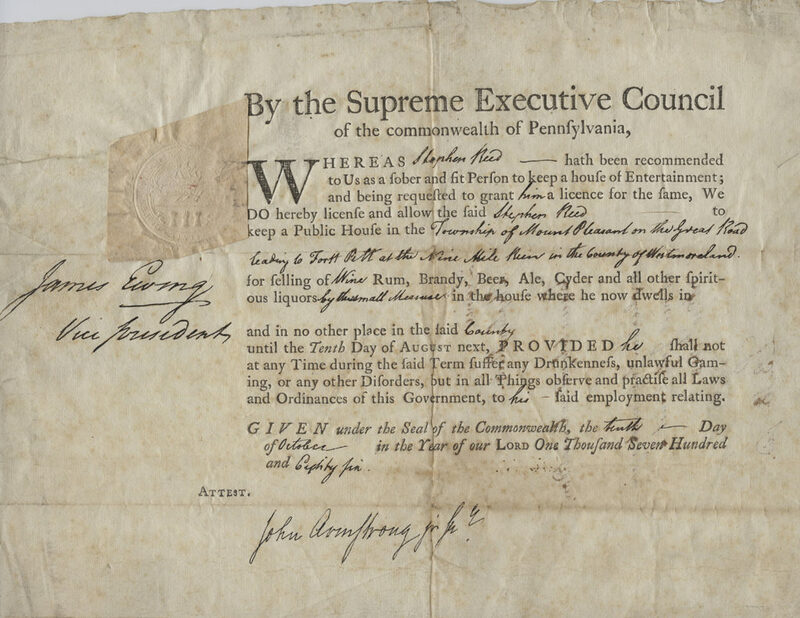 License allowing Stephen Reed to operate a public house and sell liquor, 1786. Most early taverns and public houses in Western Pennsylvania were located along the region’s sparse major roadways. This house was located on the Great Road to Fort Pitt at Nine Mile Run in Mount Pleasant Township, Westmoreland County. At the time, Pittsburgh itself had little more than 1,500 people. MFF 2741, Detre Library & Archives, Heinz History Center. Waiting in line for a beer at a Pittsburgh saloon, c. 1910. Note the boy standing in line at left holding a growler. General Photo Collection, Detre Library & Archives, Heinz History Center. More often, children were sent by their parents to pick up beer to take home. Saloon owners routinely testified that they were willing to engage in the “growler trade” with children – filling a pail or growler with beer for home delivery – as long as parents permitted it. Legal or not, Liquor Court judges often regarded the practice with less disapproval than the more unpardonable violation of selling on Sundays. Saloon photos can also illustrate the impact of national events such as Prohibition. The History Center’s collection includes two images of Zoglmann’s saloon and restaurant at 601 East Carson Street. 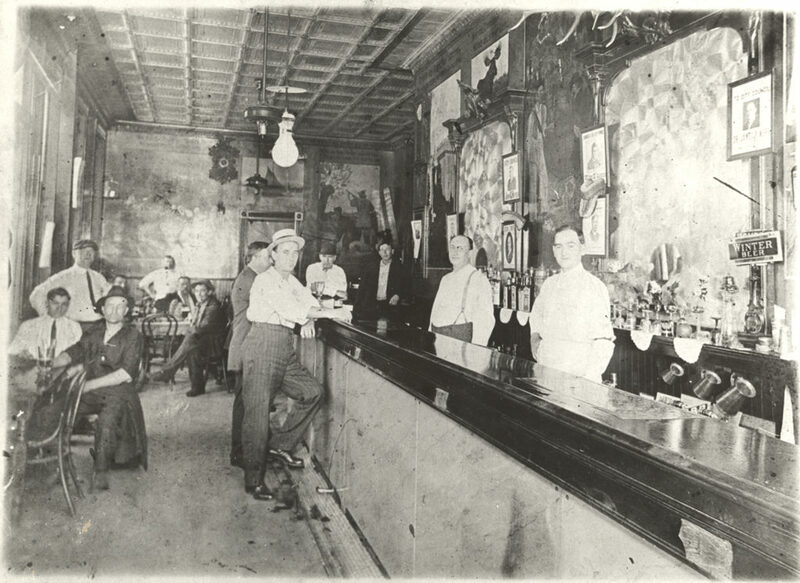 The first image, taken around 1910, shows the place as it opened, complete with ornate back bar, foot railing, and the assortment of antlers and hunting murals that were practically mandatory in any good saloon. 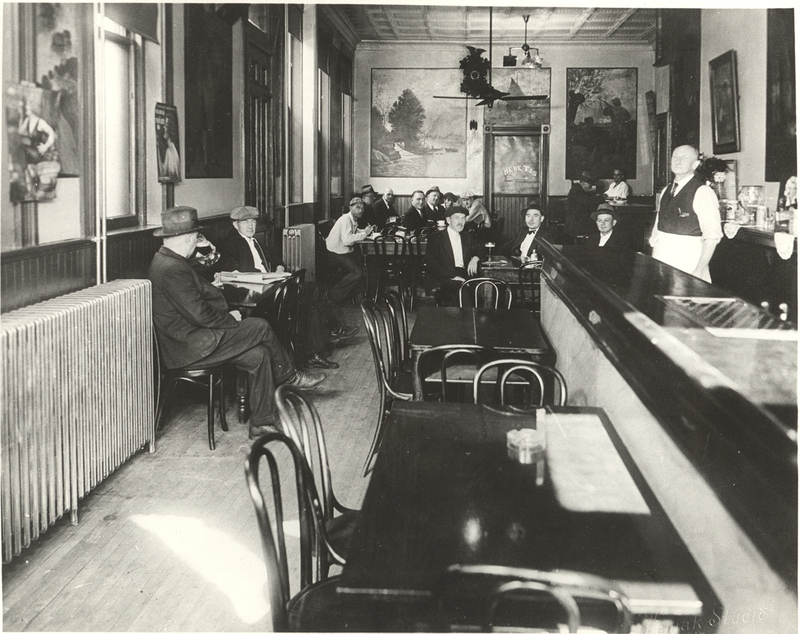 Zoglmann’s Saloon interior, c. 1910. 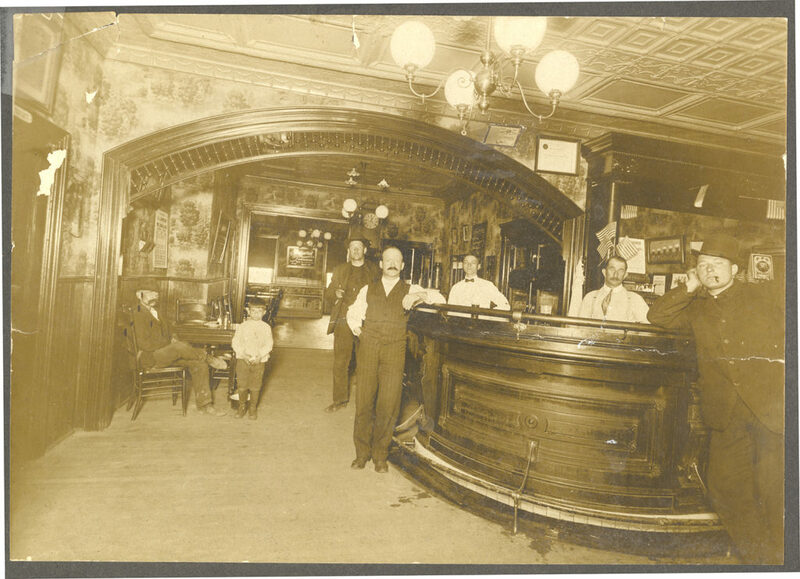 This image of Zoglmann’s in the early 1900s shows all the hallmarks of a turn-of-the-century saloon: long bar, brass railing, ornate back bar, and hunting motifs. Zoglmann-Linz Family Photo Collection. MSS 874, Detre Library & Archives, Heinz History Center. Zoglmann’s Restaurant interior, 1934. Although some of the paintings remain the same, the space is now clearly functioning as a restaurant. Zoglmann-Linz Family Photo Collection. MSS 874, Detre Library & Archives, Heinz History Center. Another image captures the same location in 1934. Prohibition had been repealed. Men are drinking beer again, but the “saloon” is gone. Tables replace thirsty patrons along the bar and the back bar has been removed or diminished: there are no more antlers. It’s a cleaner, lighter space. It’s now a restaurant that serves beer; it’s no longer a saloon. How many similar places came and went along Carson Street? Think of the crowds that still gather there to celebrate events such as the Pittsburgh Penguins recent Stanley Cup victory. These places are part of the story of this place we call home. Check your attics and old scrapbooks. Where do you gather to celebrate today? Where did your parents or grandparents go? Faces along the bar at Chiodo’s Tavern, c. 1970. Open in Homestead for 58 years, this landmark establishment epitomized the classic “beer and a shot” Steel Valley bar. Chiodo’s Tavern Collection, 2005.173, Detre Library & Archives, Heinz History Center. 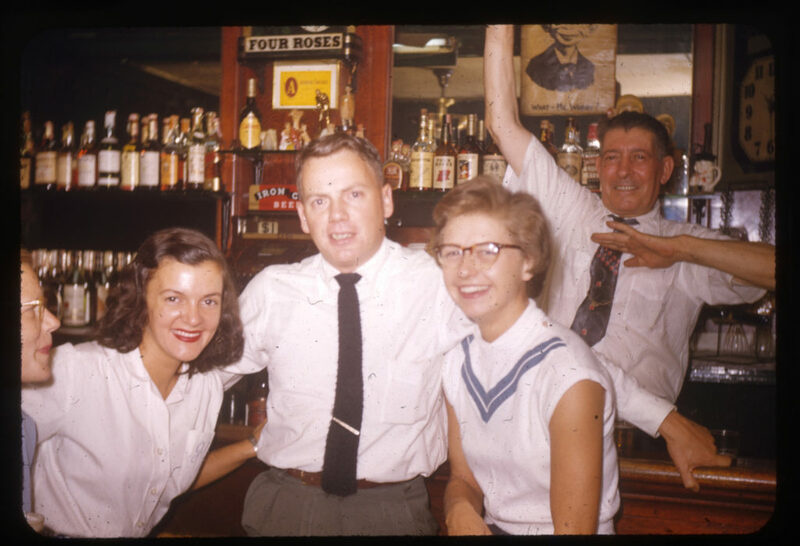 Friends gather in Joe G’s bar in East Liberty, 1953. Helen Wilson Photo Collection, 1999.0142, Detre Library & Archives, Heinz History Center. Leslie Przybylek is curator of history at the Heinz History Center. Use the form below if you have old images, documents, or artifacts related to Pittsburgh’s past. We’d love to talk with you about adding unique content to our permanent collections. Please include a brief description along with your contact information and a History Center team member will be in contact with you. Please describe the materials you wish to donate. Please describe anything you know about the history of the materials. For example, you might explain who owned them and when or how they were used, or why they were produced. Please include which collection (saloons, Strip District, outdoor recreation, etc.) you're submitting to. Additionally, we are looking for material with a Western Pa. connection, so please include relevant information here. Do you own the item(s)? Is that the same guy behind the bar in the Zogimann’s 1910 and 1934 pictures? We’re going to take a look at the collection and see if we can get any confirmation on this. Thanks for asking! He’s standing in an almost identical position and facial expression. There’s no mention of where picture from 1910 was taken, but it looks uncannily like the interior of Piper’s Pub on Carson Street. That is my grandfather Wolfgang Zoglmann in both pictures. Taken from the Carson St end of the bar. He bought property in 1901 and the bar was there until the 1960s. He passed in 1949 and bar was run by two daughters after that. Thomas, Do you know if your grandfather is related to the Zoglmanns from Wisconsin? Johann Zoglmann who arrived in Wisconsin in the 1880’s from Brennberg Germany (Bavaria)? Wolfgang immigrated from Donau (Vseruby) CZ in 1893. That is 100 mi east of Brennburg. Pittsburgh’s oldest commercial building is a bar, The Old Stone Tavern, in the West End of the city was declared an historic structure and dated circa 1782. It’s story needs to be told and studied. Additionally, the building needs to be appreciated and saved by some forward thinking individuals.